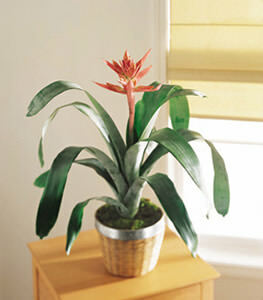 A bromeliad is an exotic and popular houseplant. A beautiful decoration for any home or office. This item may not be available for same day delivery in all areas. Pot is 6 in diameter. Plant size will vary.